There is a lot of information in this post…. my favorite image from the NYNJTC area this year and a couple of links that I found interesting and would like to share. 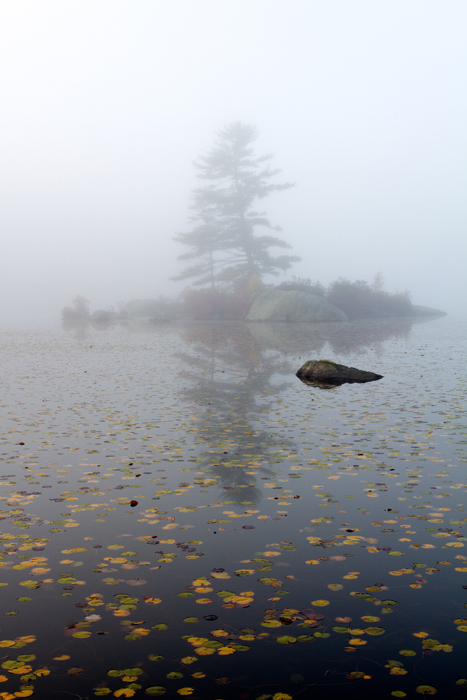 To begin with, this image was taken at Little Long Pond in Harriman State Park. I was lucky to have heavy dense fog the morning I was shooting. Shooting in fog can be challenging for a correct exposure while still holding details. Bracketing gave me options to choose during post production. That’s right I bracketed just like the old film days. I wanted the best possible exposure to begin my post processing work. The end result is a peaceful quiet image with depth.I spent many hours in Harriman this past year and plan to devote more time shooting there in 2013. I’ve included 2 links that I found interesting. The first link is a correlation between hiking in parks and the possible connection to individual creativity. Interesting and applicable to creating your individual art. The second link is information about what possibly could happen to National Parks, EPA and other environmental issues if we go off the fiscal cliff. Not exactly light reading but informational none the less.